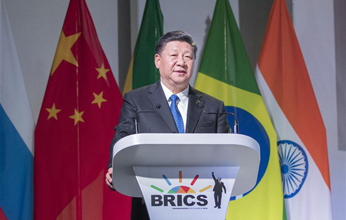 President Xi Jinping delivered on Thursday a speech titled "Turn Our Vision into a Reality" at the Plenary Session of the BRICS Johannesburg Summit. President Xi Jinping delivers a speech titled "Keeping Abreast of the Trend of the Times to Achieve Common Development" at the BRICS Business Forum in Johannesburg, South Africa, July 25, 2018. 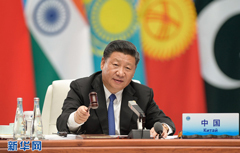 Chinese President Xi Jinping delivered a speech at the 18th Meeting of the Council of Heads of Member States of The Shanghai Cooperation Organization (SCO) in Qingdao on Sunday. The China International Development Cooperation Agency (CIDCA) has been officially unveiled today amid the warm, vibrant atmosphere of spring when flowers are in full bloom and everything is growing. Today, we’re attending a ceremony to unveil the newly-established China International Development Cooperation Agency (CIDCA), which marks a milestone in the history of Chinese diplomacy and foreign aid. Chinese Premier Li Keqiang delivered a keynote speech at the China-Indonesia Business Summit on Monday, reviewing major achievements of bilateral cooperation and introducing China's economic growth and reform. 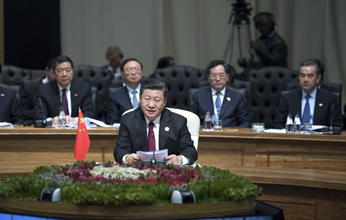 Since its inception, with a focus on Asia and a global perspective, the Boao Forum for Asia has hosted active discussions and produced many valuable "Boao proposals" that have helped build consensus in Asia, encourage cooperation, promote economic globalization and advance the building of a community with a shared future for mankind.